The Ozment family owns Flowerama Columbus. We are a second generation, family owned and operated floral design firm. Our focus is on designing and delivering high quality floral products. We provide our customers with value pricing and convenient locations for shopping. Customers can enjoy a wonderful in-store shopping experience, or shop directly from our website. We offer the best selection of farm fresh flowers, plants and gifts found anywhere in the Columbus Ohio area. We love what we do and are proud of the great reputation we have achieved. 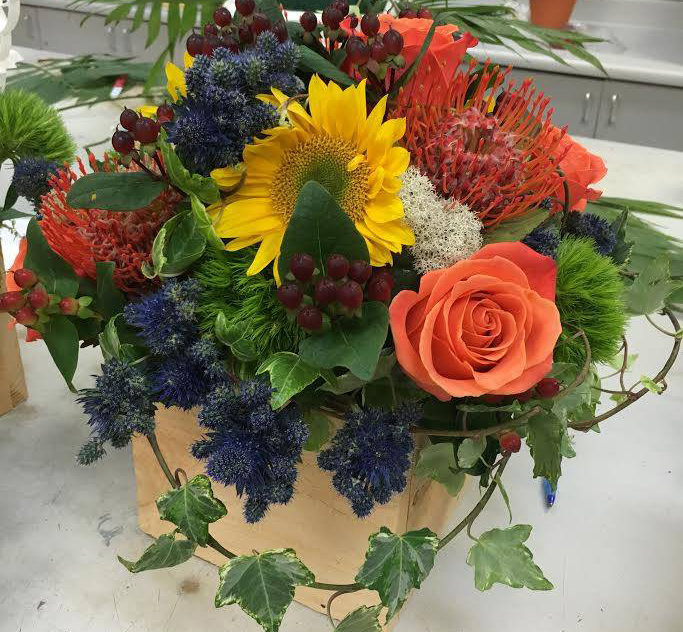 Our firm operates four floral design centers, located in Columbus, Reynoldsburg, Westerville and Whitehall. Flowerama Columbus has grown to be recognized as one of the premier florists in Ohio. We have developed a cutting edge web technology platform that ensures our customers enjoy the best online shopping experience in the floral industry. Our website is designed to allow clients to shop via their desktop, laptop, tablet or smartphone device. The site delivers a satisfying, safe and secure shopping experience. We are proud to say that Flowerama Columbus has been voted "Best Florist" in Columbus Ohio. In fact, the voters who participated in the Consumers' Choice Award Winner selection process, choose our firm as their favorite, seven out of the last 8 years. Flowerama Columbus creates gorgeous wedding bouquets, boutonnieres, ceremony flowers and reception flowers. We offer wedding flowers for any budget and can handle weddings of any size. If you have just gotten engaged, we encourage you to reach out to any of our floral design centers. Our firm provides a FREE Wedding Consultation for all new prospective brides. We operate a wedding website for our wedding flower brand, "Botanica Floral Arts." The site offers prospective brides with a great source of information and access to view lots of gorgeous wedding flowers and decor. The professional wedding flower design team at Flowerama Columbus offers turn-key wedding packages. We also offer some of the most incredibly beautiful custom wedding flower designs in central Ohio. Our custom wedding flower designs are absolutely stunning. If you are wanting to create the perfect wedding atmosphere, we encourage you to come in and talk with one of our expert wedding planners. They can walk you through every step of the process, including color schemes, flower selection, design styles and venue set-up ideas. Flowerama Columbus creates gorgeous wedding bouquets, boutonnieres, ceremony flowers and reception flowers. In addition to their 4 floral design centers, the Ozment family also owns a company called Emerald City Web Design. Over the past 3 years, they have created one of the finest websites in the floral industry. Their e-commerce platform is fully responsive and built with modern PHP coding. The site is one of the most sophisticated and productive websites in floral industry. Emerald City has worked with technology and marketing partners to create a world class floral platform. Emerald City Web design was created approximately 3 years ago. The company was set up to control licensing of the Ozment floral websites to other flower shops around the country, who desire to utilize the highly productive web platform. A number of firms have already opted to purchase licenses and have been enjoying strong performance results since deploying the platform. If you are interested in licensing the platform, please contact Emerald City at (614) 729-8299. 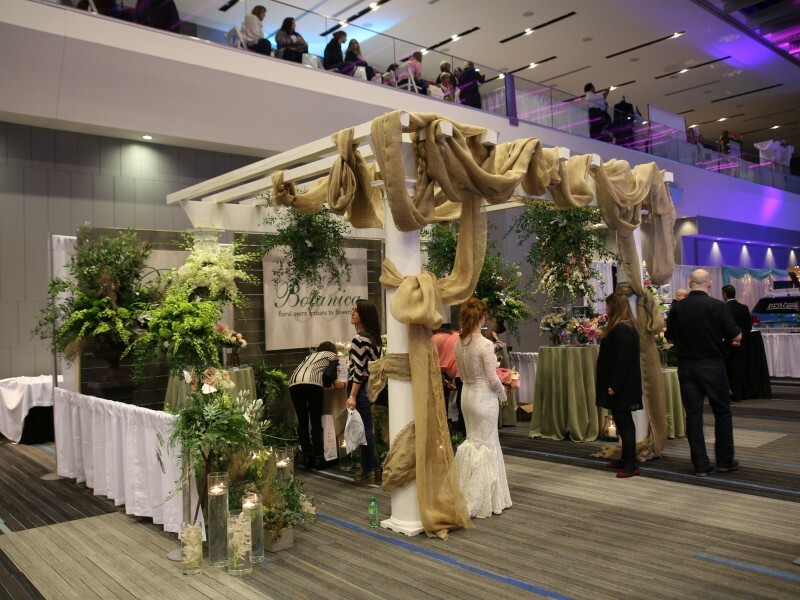 Emerald City has worked with technology and marketing partners to create a world class floral platform. We opened our first location at the corner of Brice and Main Street in Reynoldsburg, Ohio on June 23, 1990. For the first five years of operation we were the highest volume Flowerama store in the country. On January 27, 1995 we opened our second location at the corner of Broad Street and Hamilton Road in Whitehall. We nearly doubled our sales and tripled our work load. In 2002, we launched our website. The first photos were taken outside the Westerville shop. While we were proud of them at the time, we look back and laugh at our early efforts. We still take our own photos, but now they are taken in a home studio. We realize there is room for improvement in our photography skills; however, we are no longer embarrassed to put them on the website. In 2005, we made a major investment in our computer system. This streamlined our order taking ability. With this new technology, we can access orders taken from any of our four locations. To optimize delivery, orders are directed to the nearest location. We can even send an automatic e-mail confirmation of your completed delivery if you request. December 16, 2005 the store located at Karl Road and Morse Road opened. With a state of the art walk in and reach in cooler this store continues to be a customer favorite. Located at one of the busiest intersections in Columbus sales continue to grow. In 2006, we acquired our vanity telephone number 614 BLOOMIN. The telephone number rings into our Reynoldsburg location where your order is processed. We hope this number will be easy to remember and convenient to use. In 2006, one of the most respected names in the floral industry, Virgil Alwood Florist, chose to merge their customer data base with ours. In 2008, we introduced the "Non-spill travel box". We custom designed our non-spill travel box so that the average person, under normal driving conditions, can get their flowers home in one piece. Our box is twice the size of a normal delivery box and stands tall enough to protect the flowers from banging against your car seat during transportation. You can’t get this box anywhere else in Columbus, and it is free with most flower deliveries. In 2010, we introduced "In driveway delivery confirmation. "Once your delivery arrives at its location our drivers do the unthinkable; they actually call you. We call it "In driveway delivery confirmation", and we are the only florist in Columbus that provides this service. That’s right our drivers will call you from the driveway to let you know that your gift has arrived safely to its destination. Spring of 2013 Cheryl's Cookies and Flowerama Columbus teamed up to offer Cheryl's cookie delivery anywhere in Columbus Ohio. Available for sale and consumption at the Reynoldsburg, Westerville, and Columbus Flowerama locations with the Whitehall Flowerama location coming soon. The perfect marriage of two great companies; our customers now have a choice between the freshest flowers or the freshest cookies and they can all be delivered the same day throughout Columbus. Perhaps the thing we are most proud of is our people. There are many who have worked for us for more than a decade, and one that has been with us since our first year of operation. The contributions they have made to our success over the years are immeasurable. Our ability to draw some of the most talented, hard working people in the community is one of our greatest assets. We are truly humbled by their efforts. Floweramacolumbus.com and our four convenient locations offer same day delivery of fresh flowers and roses across town and throughout the United States! Orders that are placed on line or over the phone will be processed immediately and filled through the local Flowerama store or through the Teleflora network of fine florists.